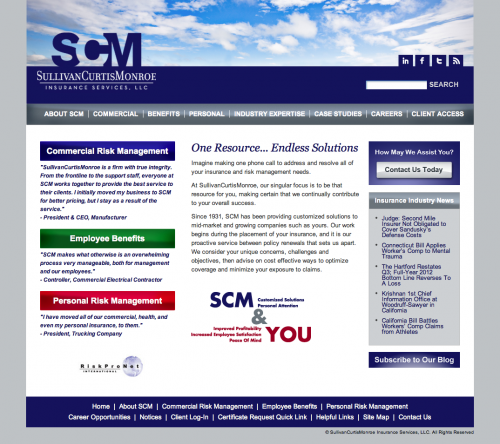 For nearly 80 years, privately-held SullivanCurtisMonroe Insurance Services, LLC (SCM) has been protecting its clients by providing insurance and risk management services. A full-service insurance agency focused on mid-market and growing companies, SCM offers commercial property & casualty, employee benefits and personal lines coverage. SCM has three Southern California locations.